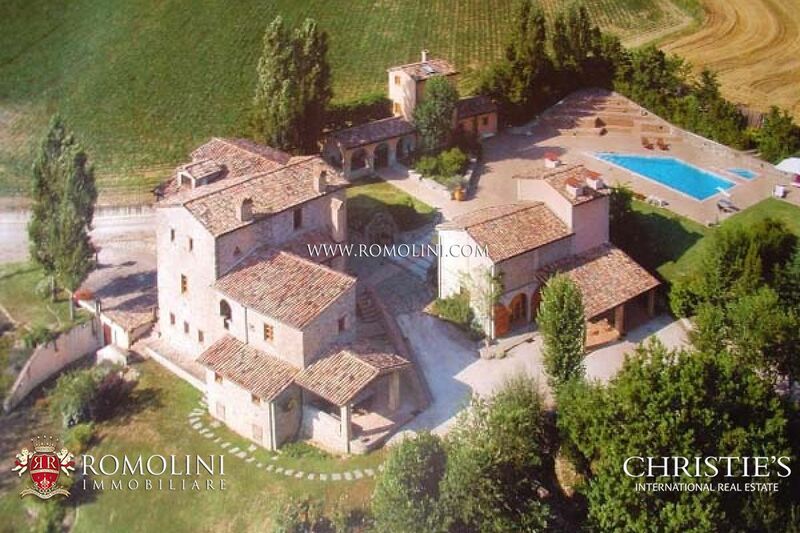 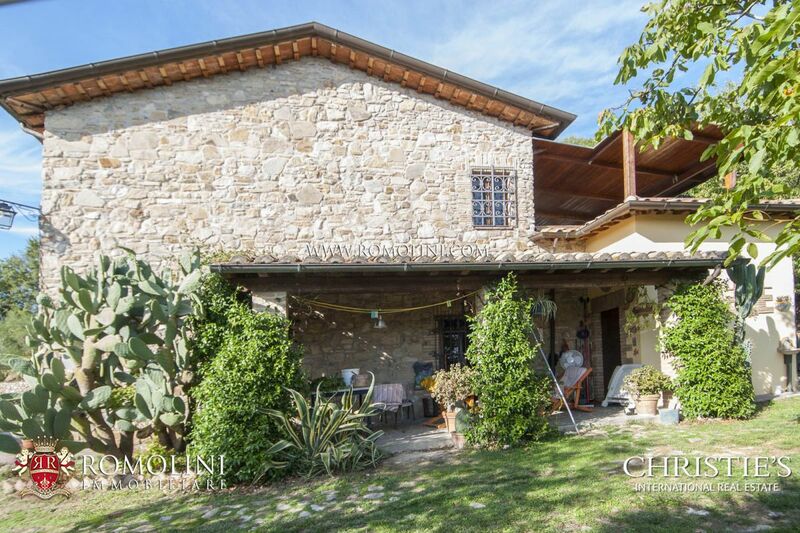 Agriturismo for sale in Umbria. 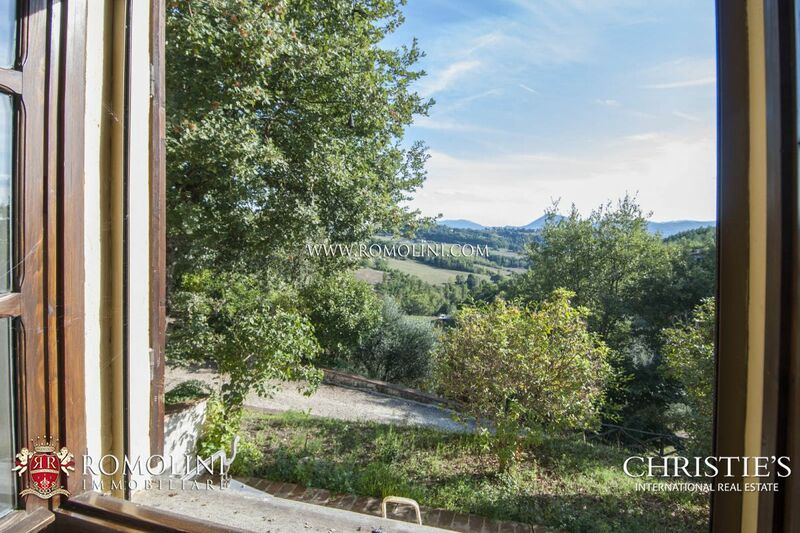 In an open and sunny position, the Agriturismo is placed at only 4 km from the historical centre of the medieval borgo of Montone. 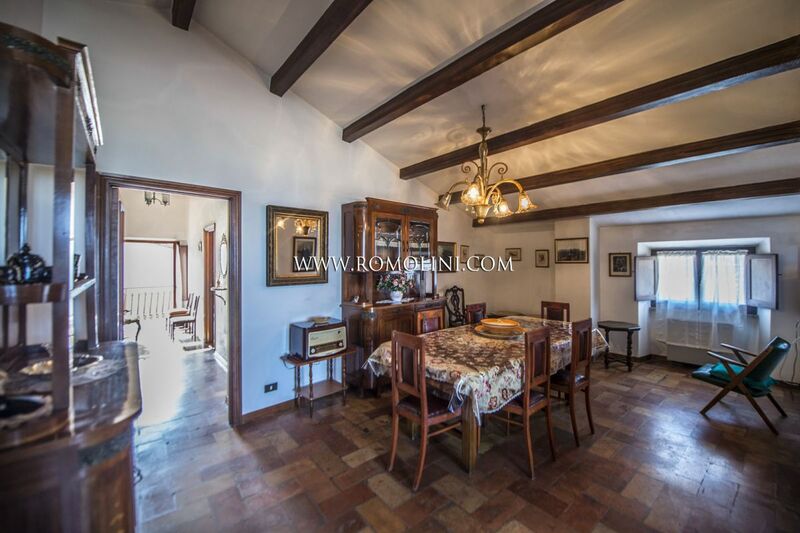 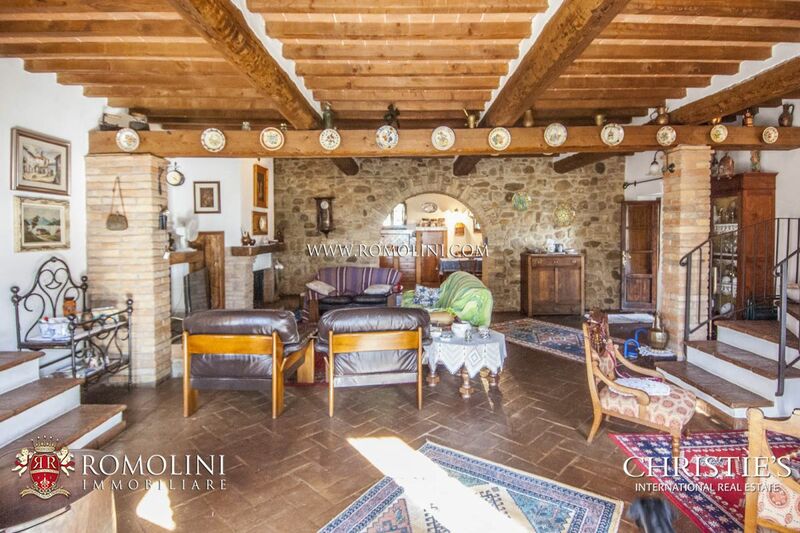 The property is composed of a main farmhouse, divided into five independent units. 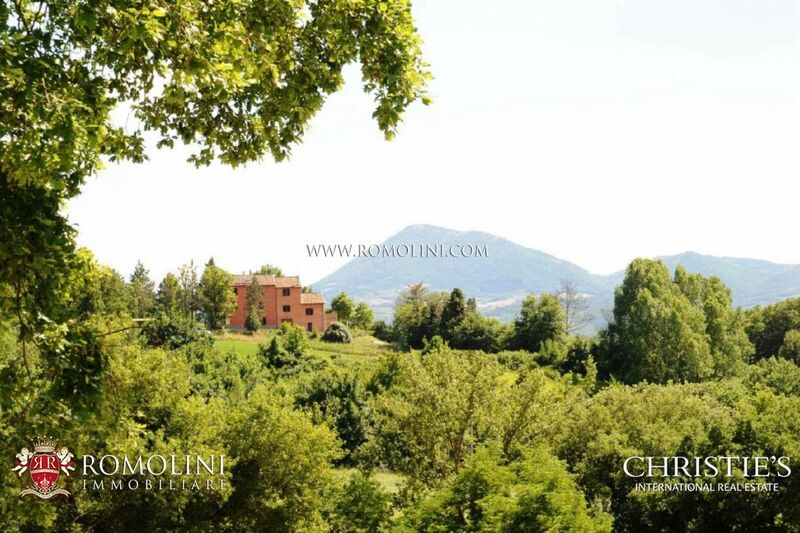 The property is surrounded by 5 hectares of private park . 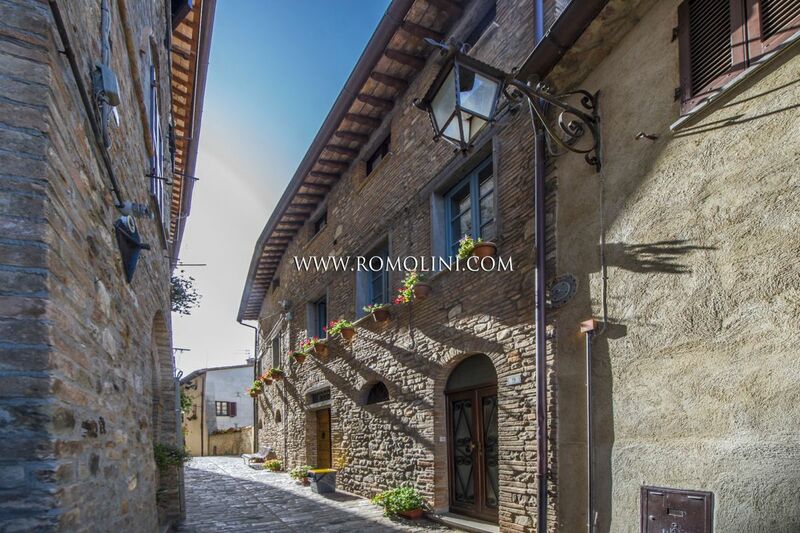 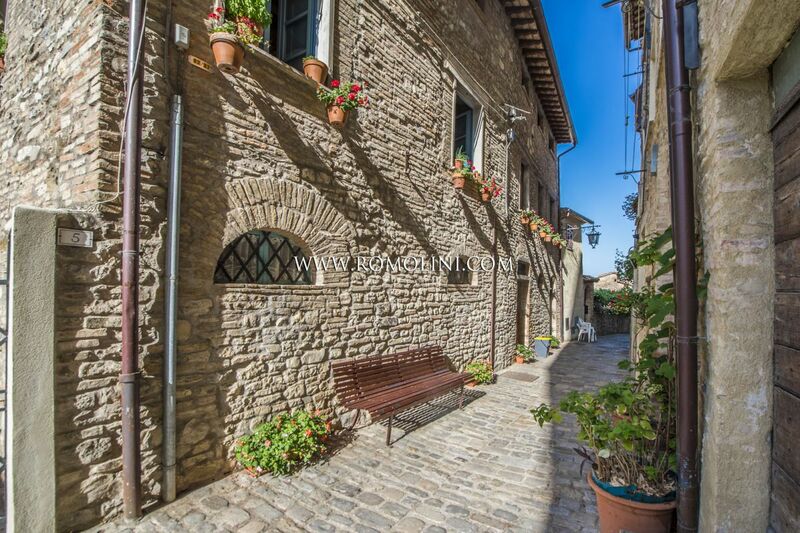 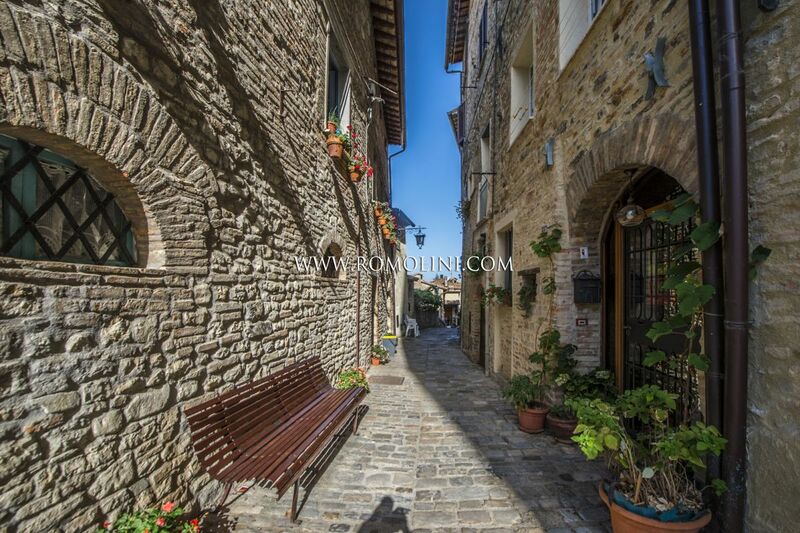 In the delightful historical centre of Montone, this 120 sqm apartment with terrace and 3 bedrooms is perfect for anyone looking for a quiet life with all kind of services at hand. 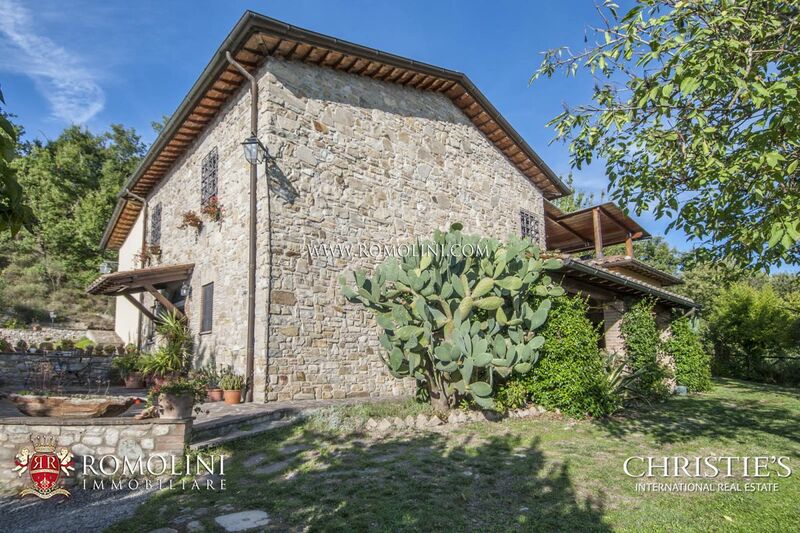 Easily accessed, the building is also ideal for whoever wants to enjoy the Umbrian and Tuscan countryside with various important towns located not far. 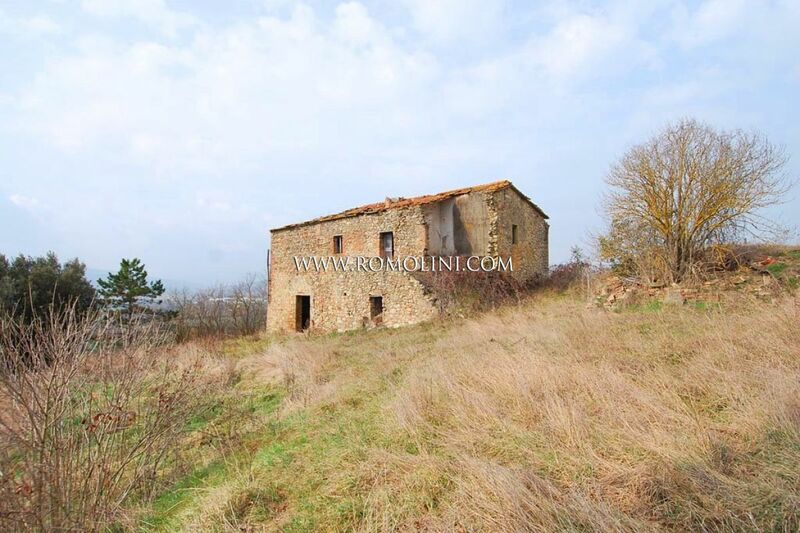 In Umbrien, nur wenige km von einem wunderschönen mittelalterlichen Dorf entfernt, Landhaus aus Stein (200 m2) mit Nebengebäude (100 m2) und Land. 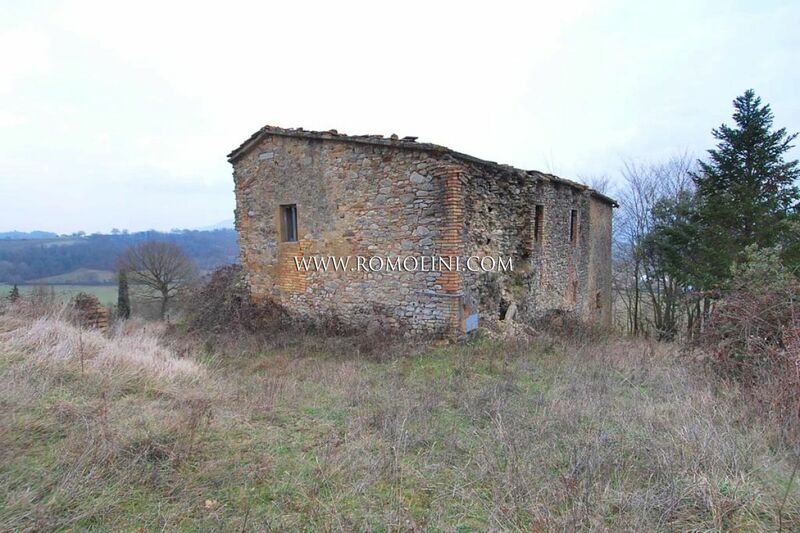 Das Landhaus wurde 2000 sorgfältig renoviert und ist in ausgezeichnetem Zustand. 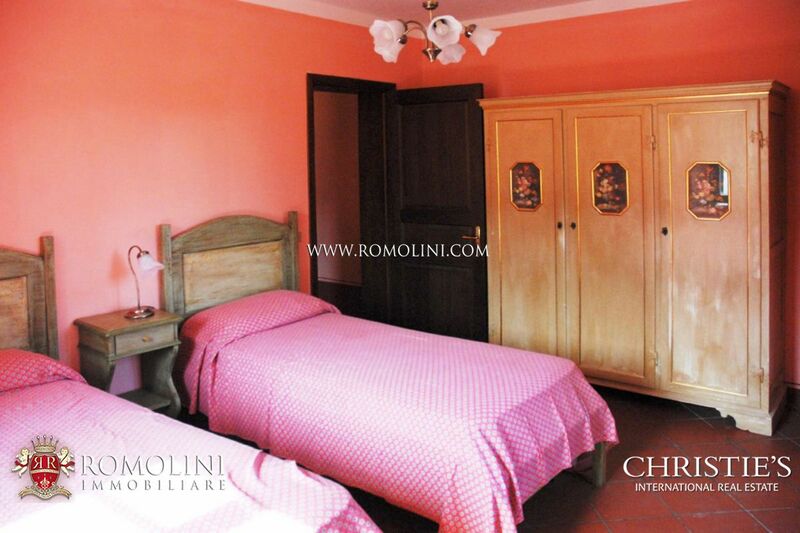 Das Anwesen, das vier Schlafzimmer und vier Badezimmer umfasst, ist von 1,8 Hektar Land mit 100 Olivenbäumen und Obstbäumen umgeben. 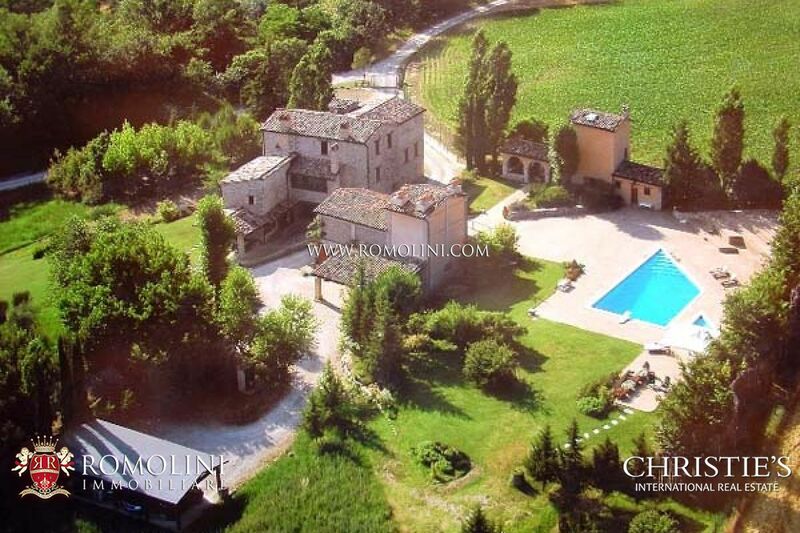 VILLA MIT WEINBERGEN UND OLIVENHAINEN IN MONTONE, UMBRIEN. 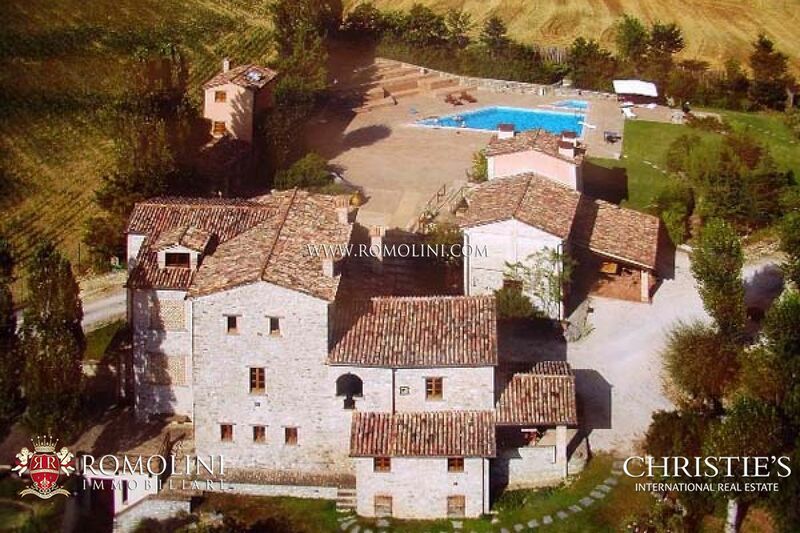 In hügeliger Panoramalage, in der Nähe der mittelalterlichen Stadt Montone, elegante Villa mit 2,7 Hektar großes Grundstück und gewärmtem Pool. 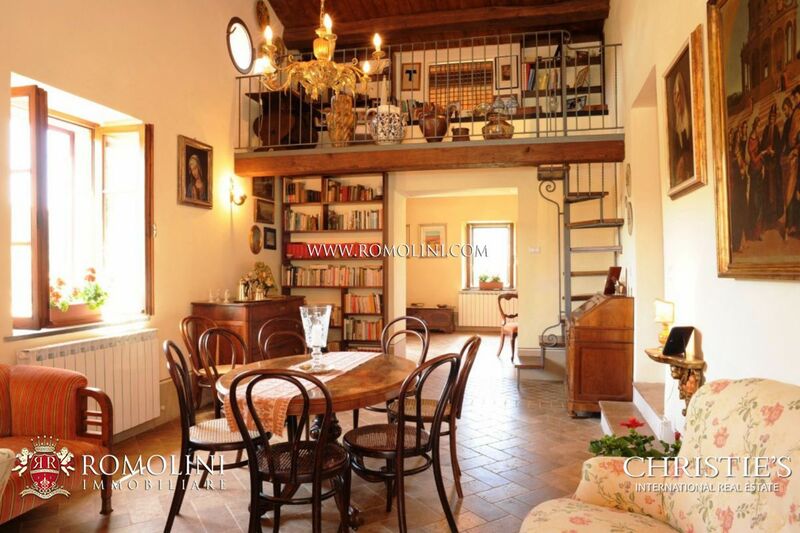 Das Anwesen schließt ein 50 m2 großes Cottage für Gäste ein. 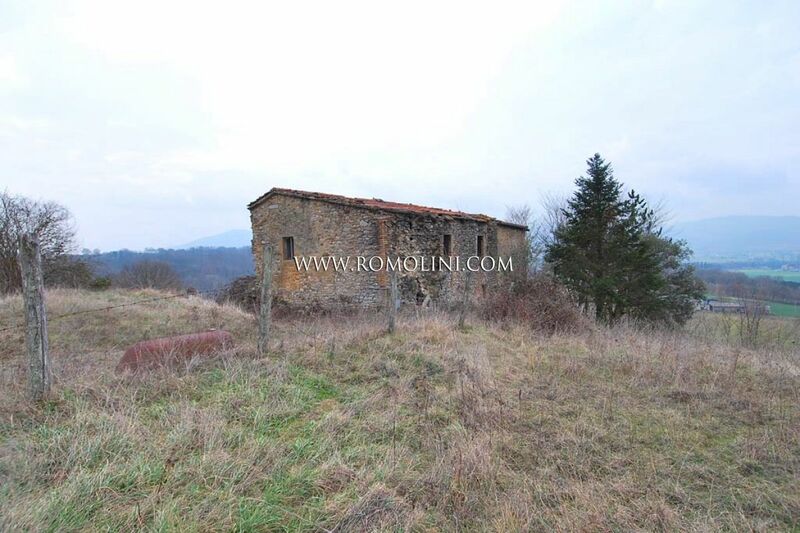 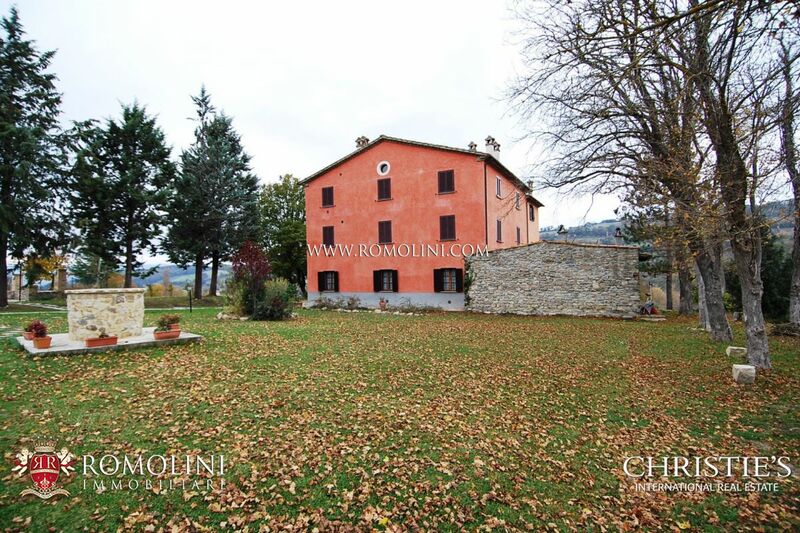 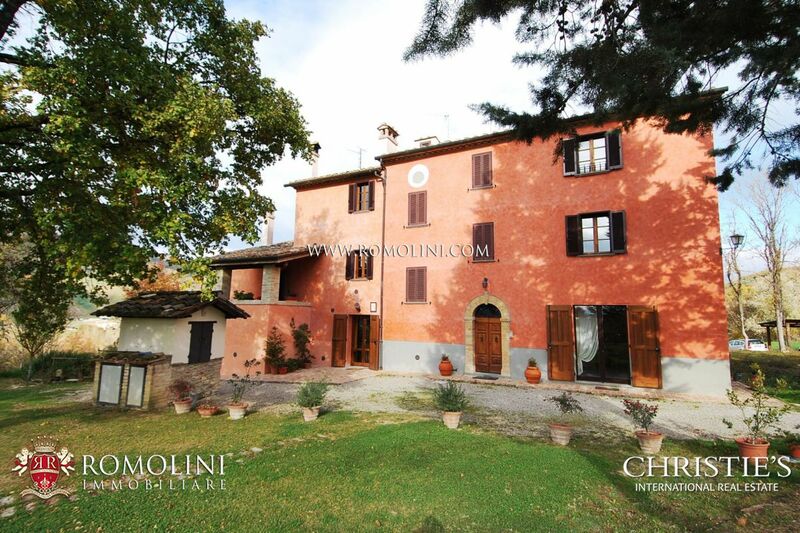 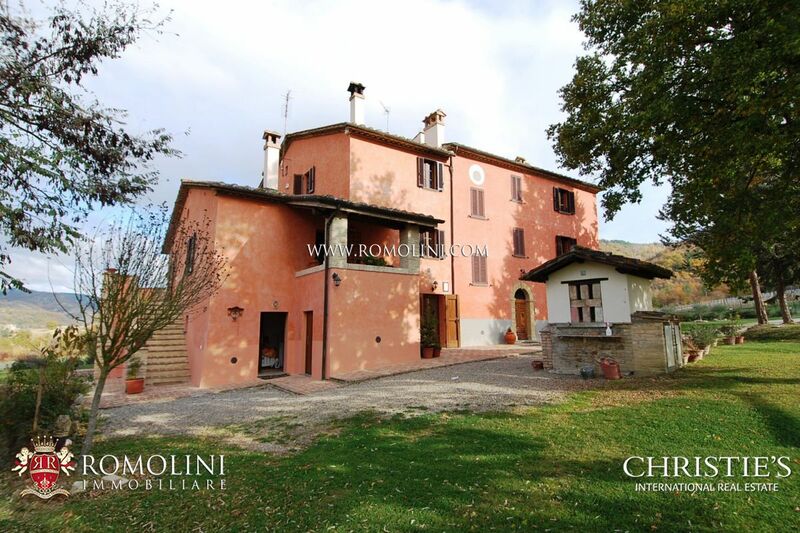 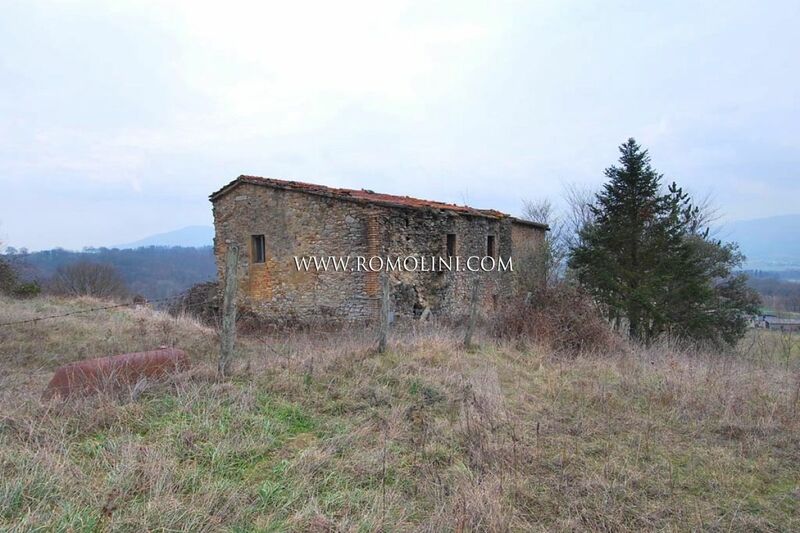 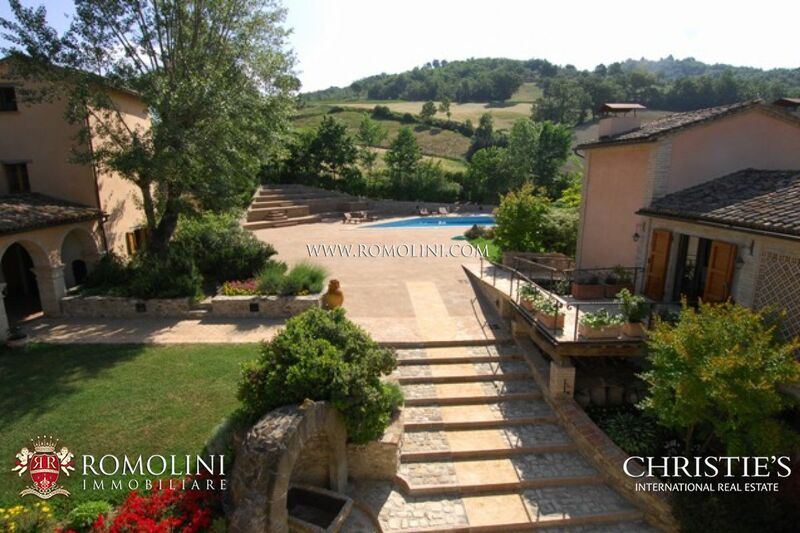 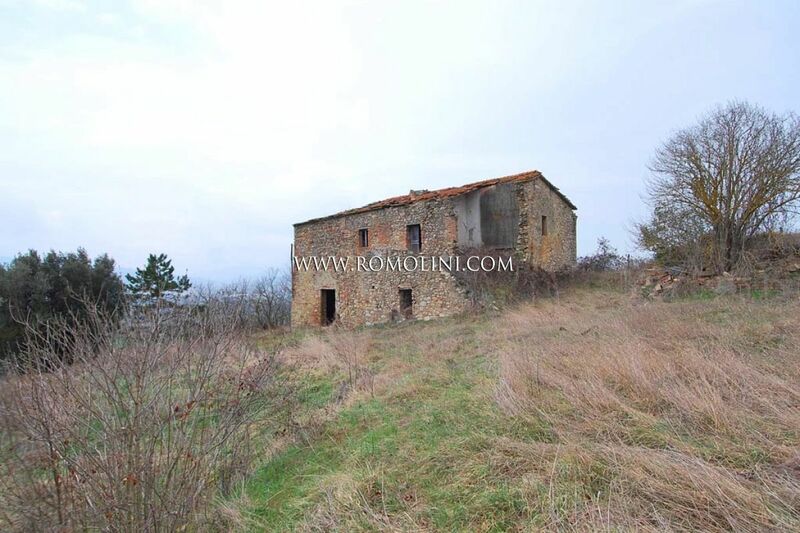 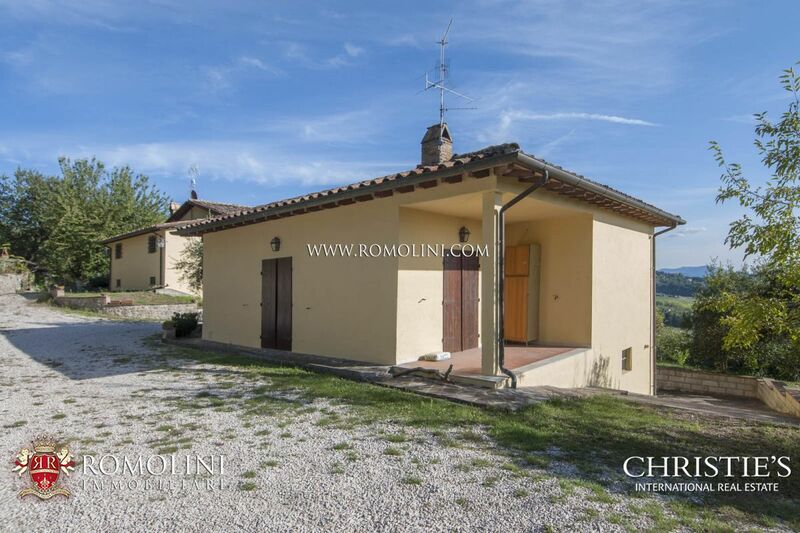 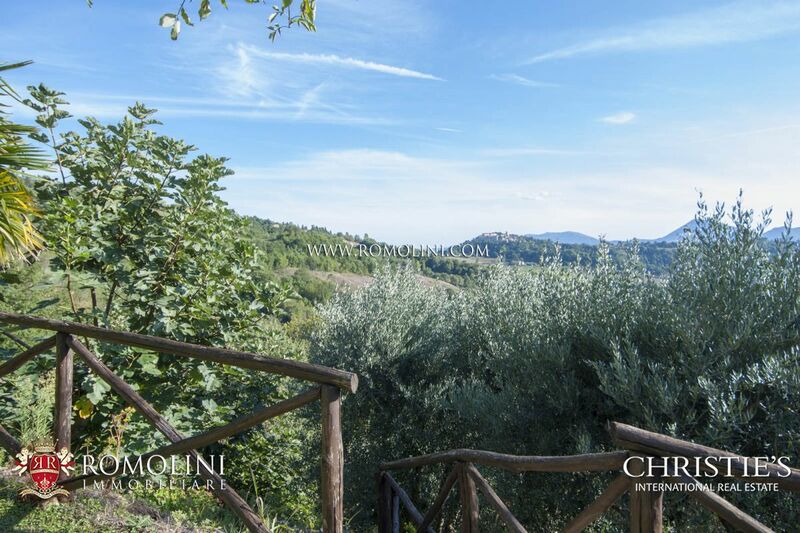 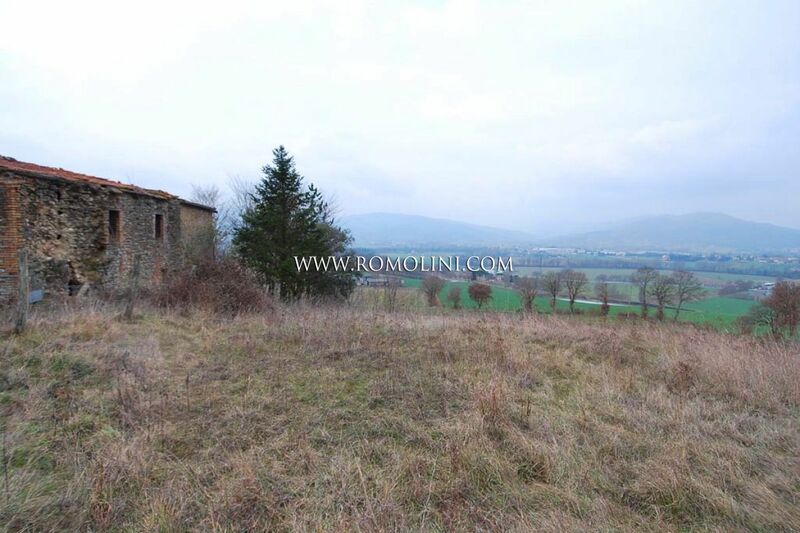 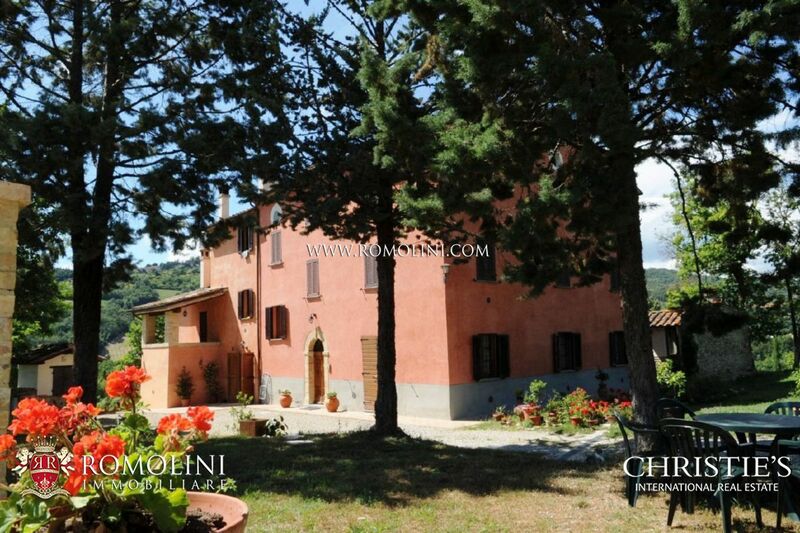 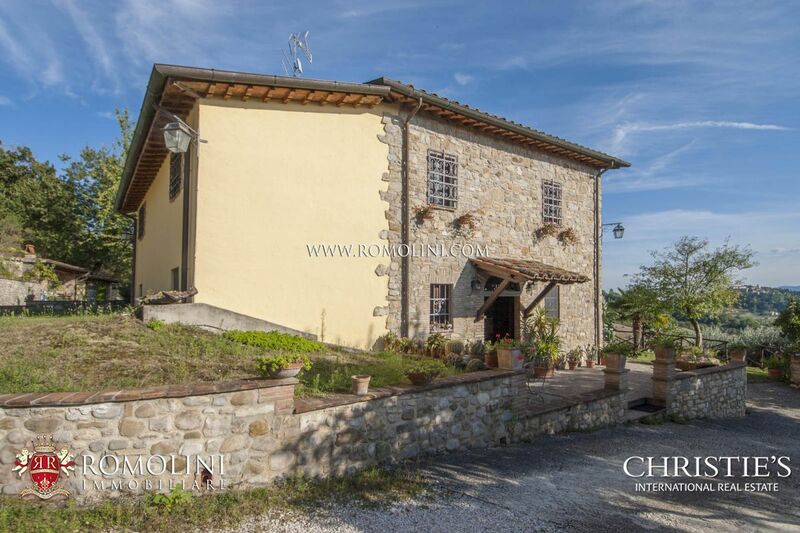 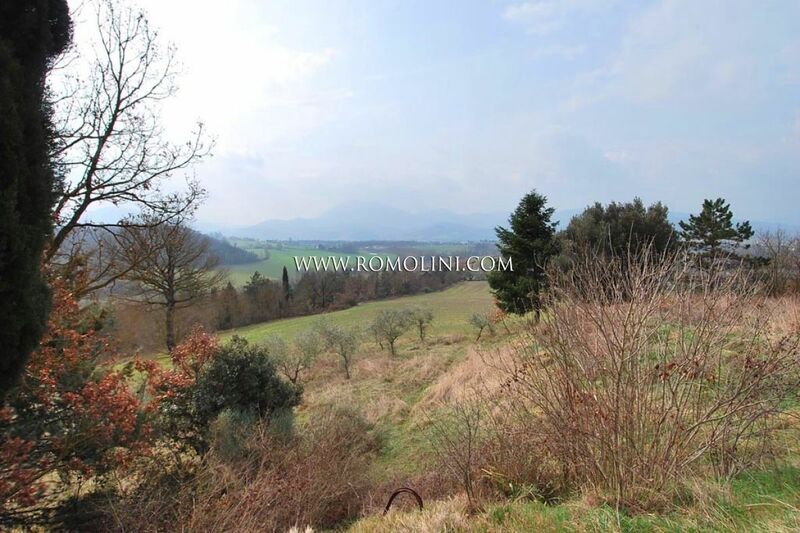 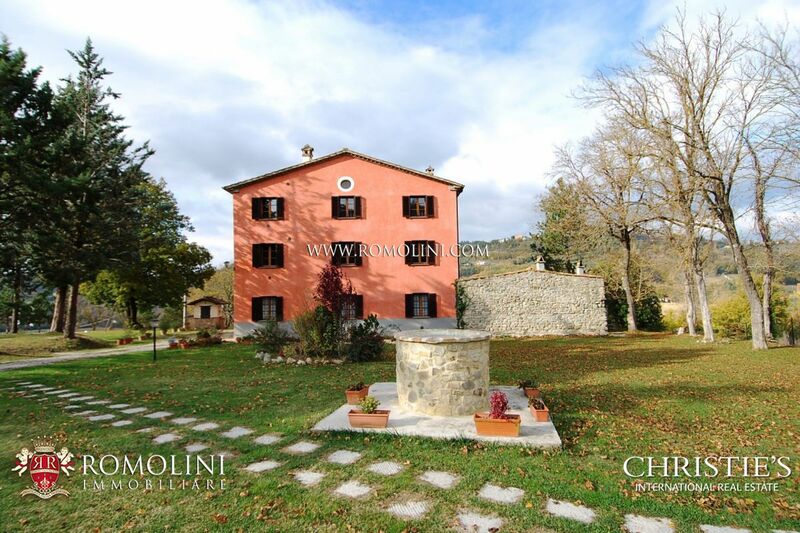 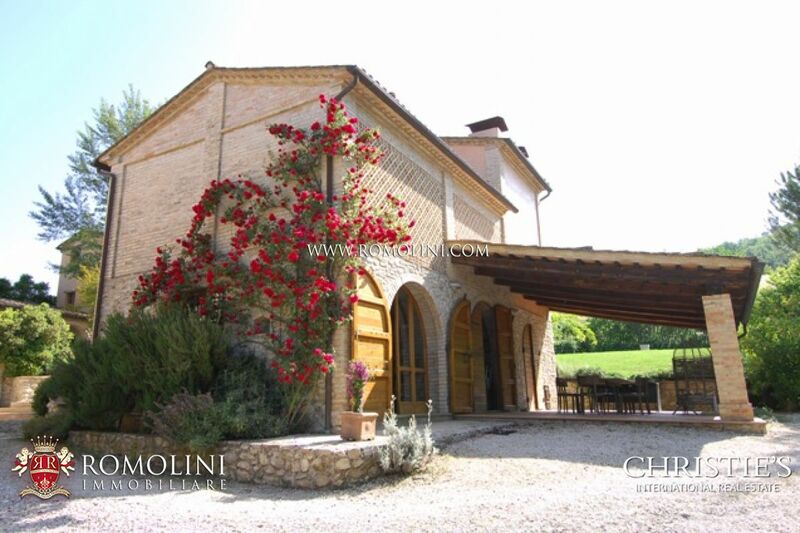 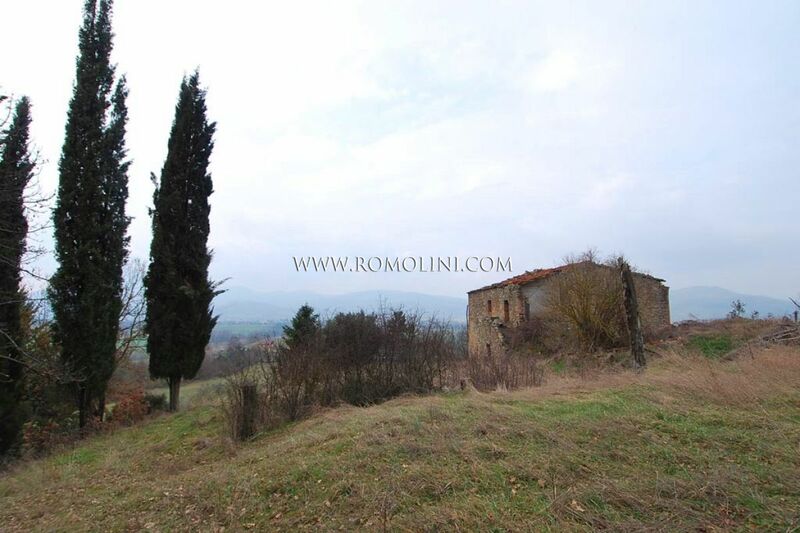 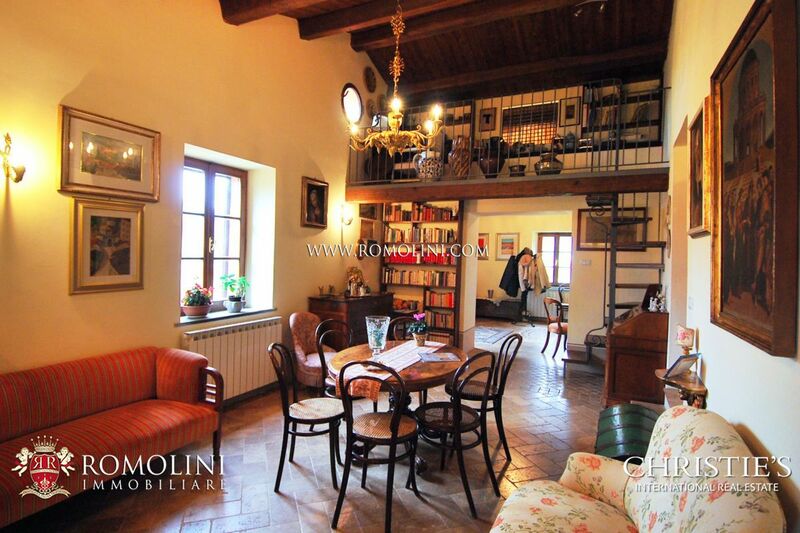 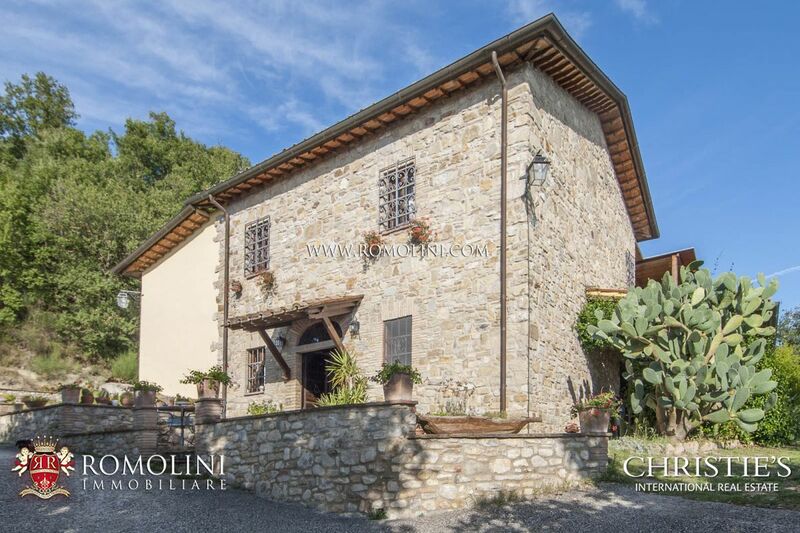 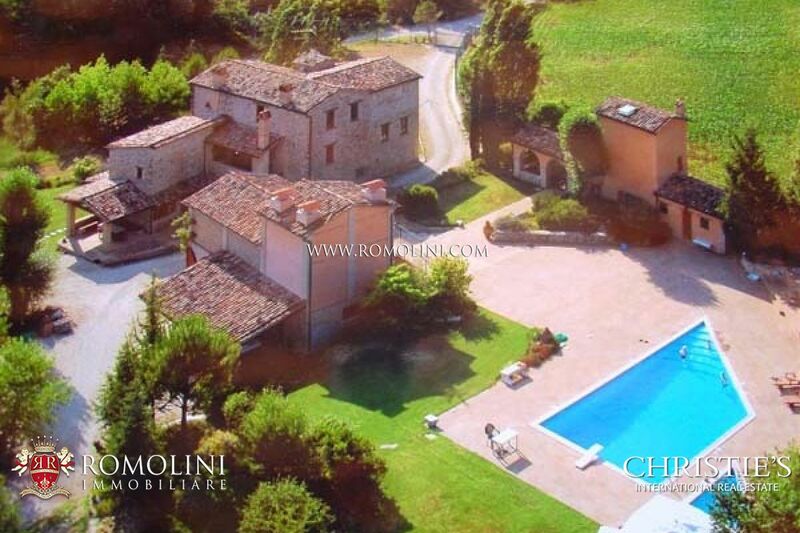 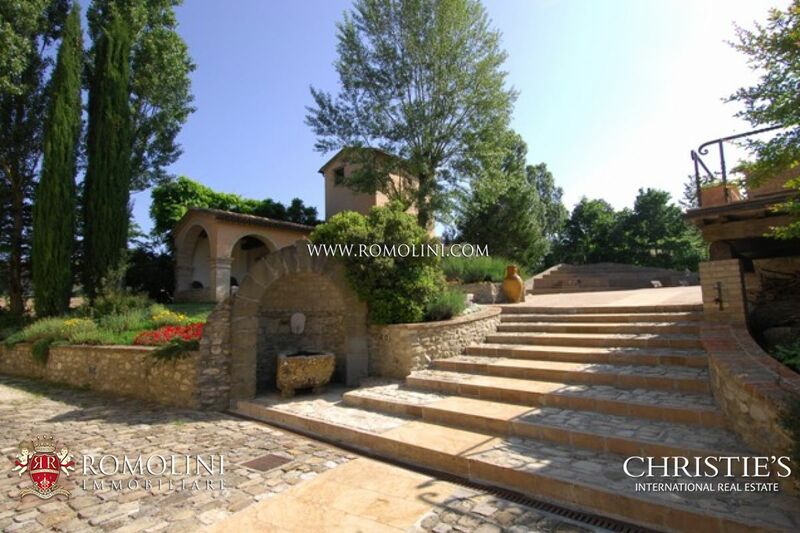 This fantastic property, completely nested among the green Umbrian hills, very close to the nice town of Montone, is dated back to the Longobardian Age. 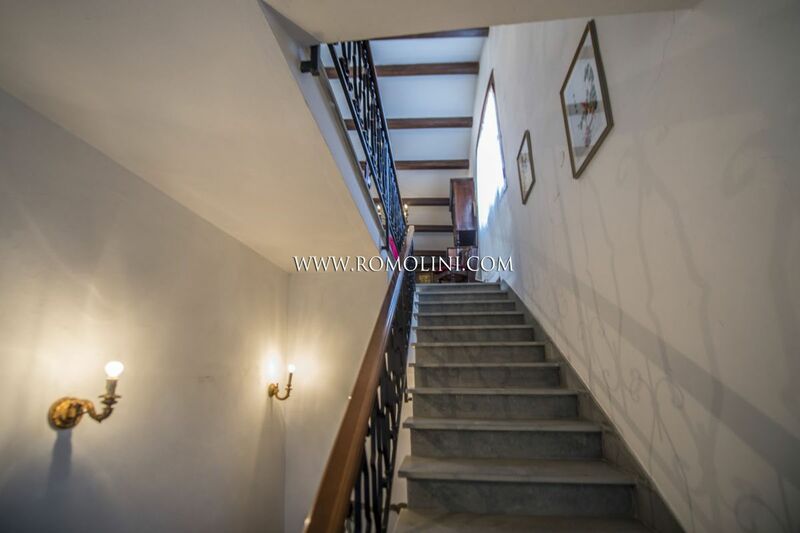 The property is composed of the main house, completely restored with luxury materials and finishes, developed around the original warning tower, and two annexes, completely restored too, one of which used to be an old seccatoio. 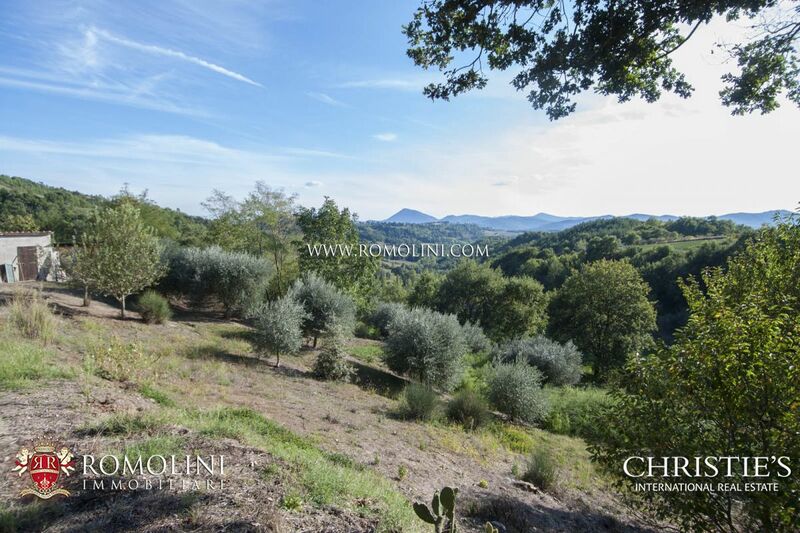 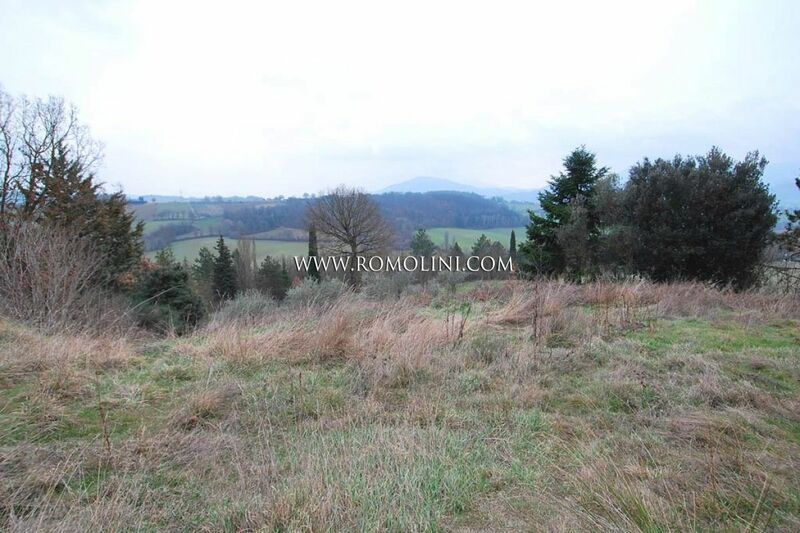 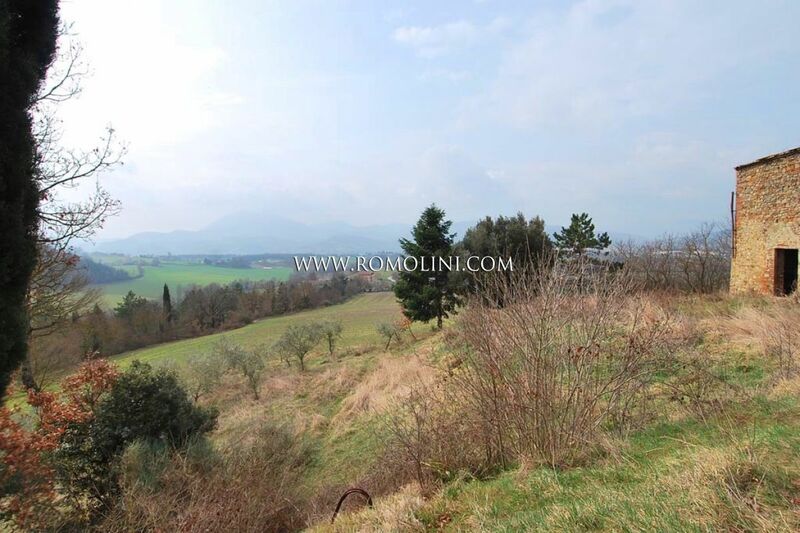 The property is surrounded by 1,6 hectares of fenced land. 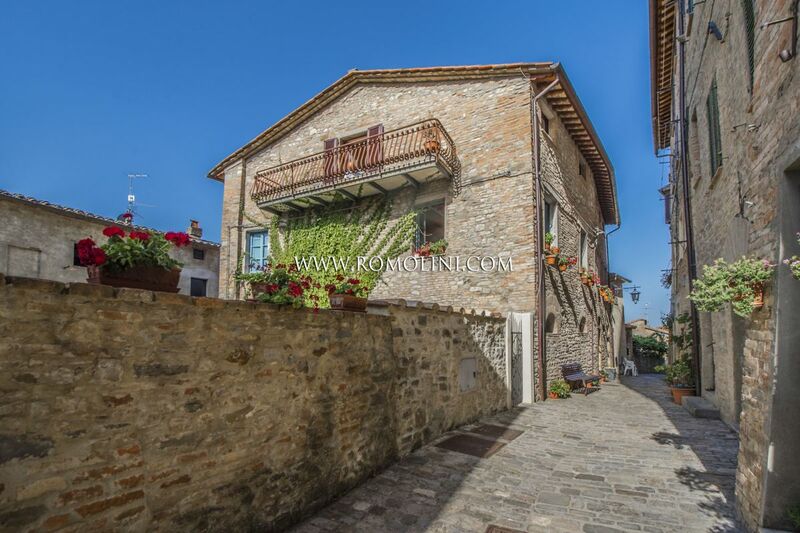 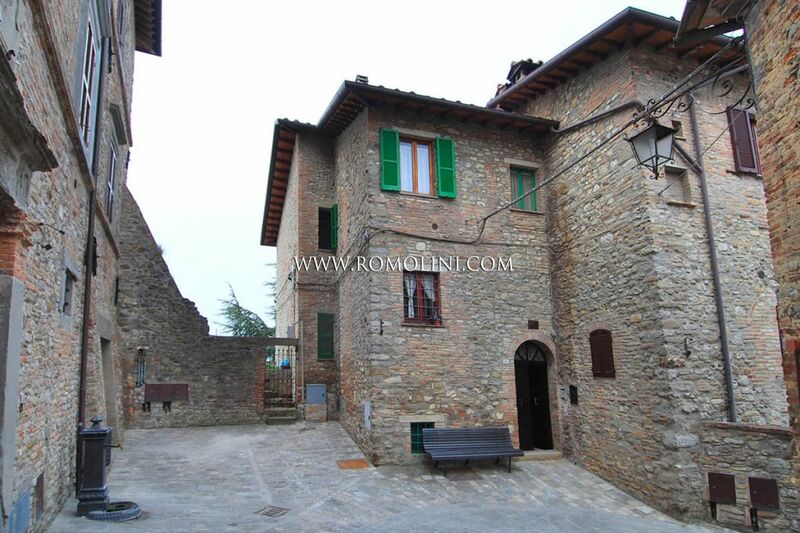 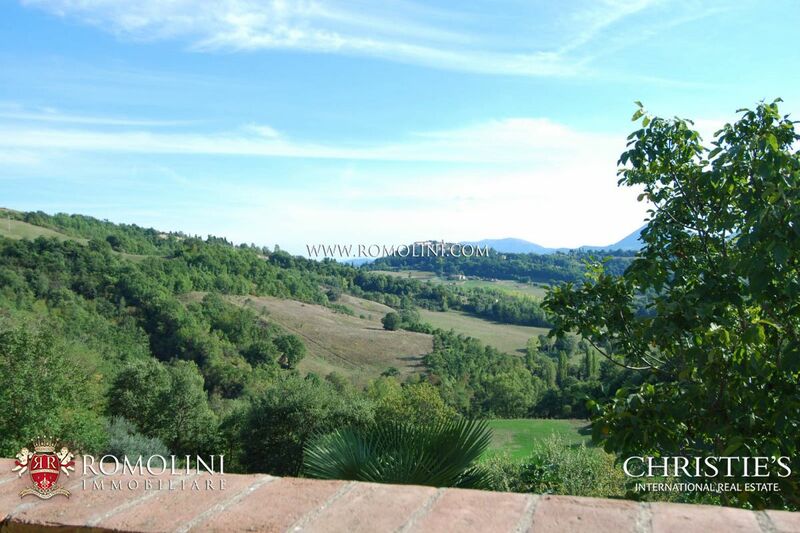 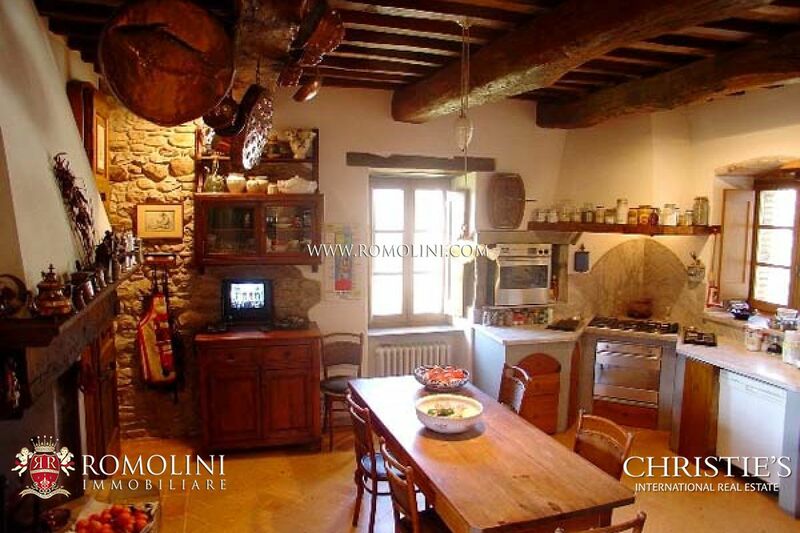 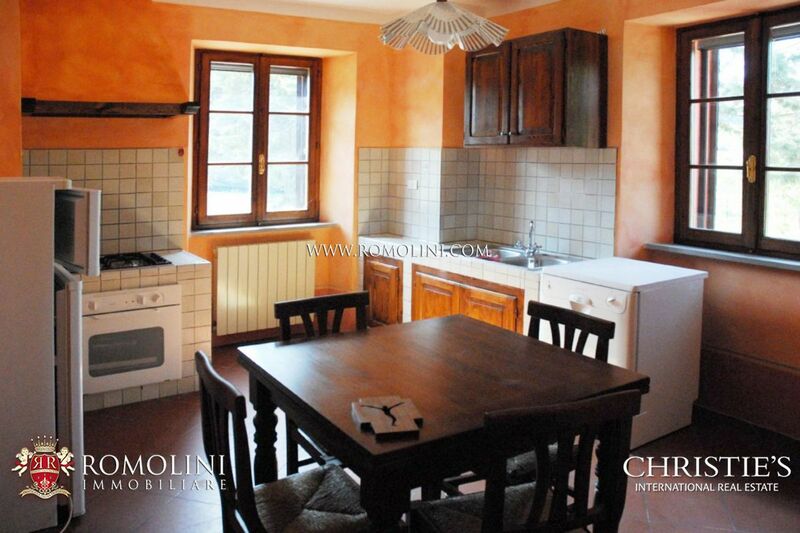 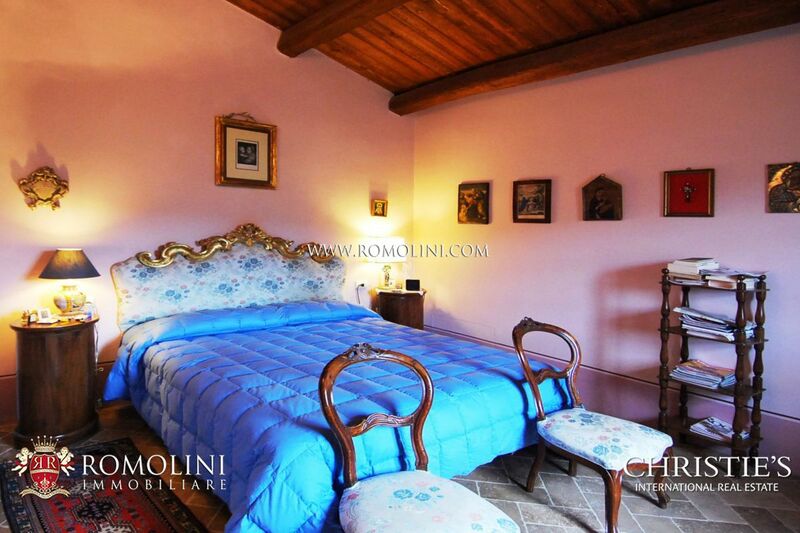 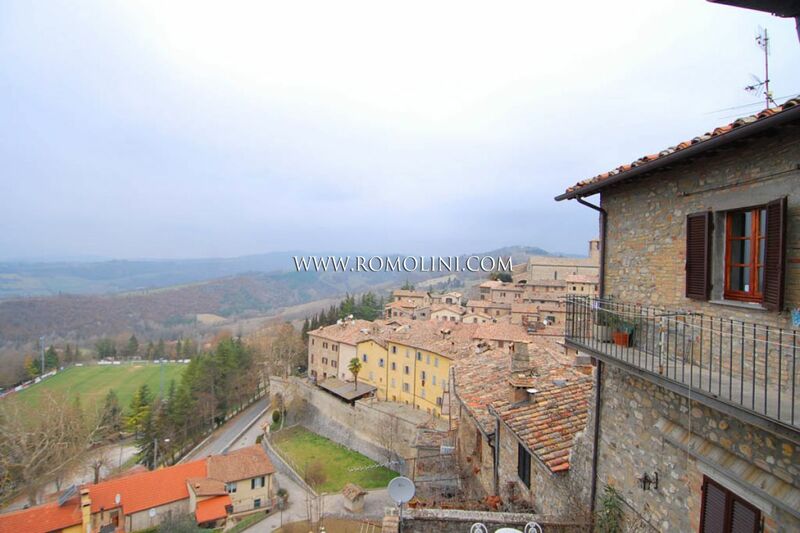 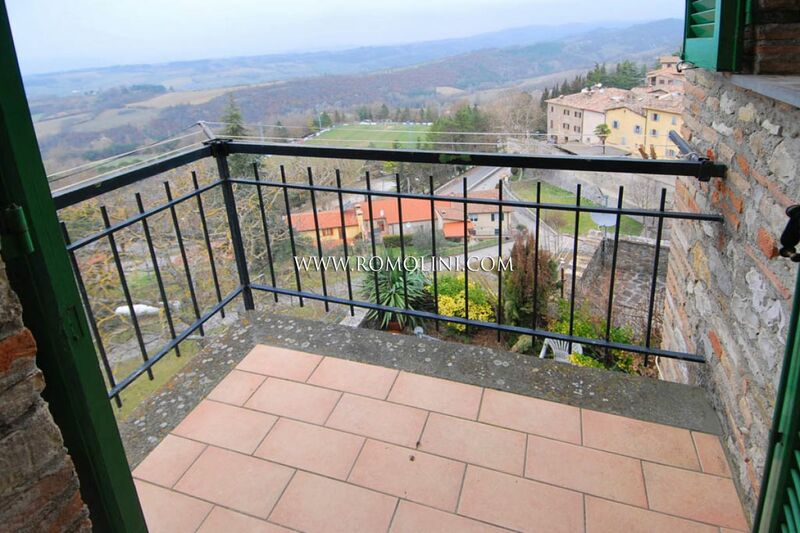 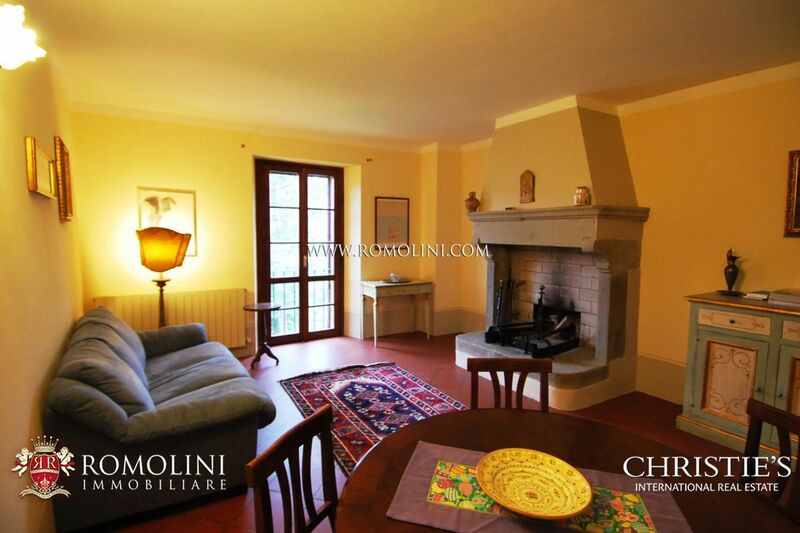 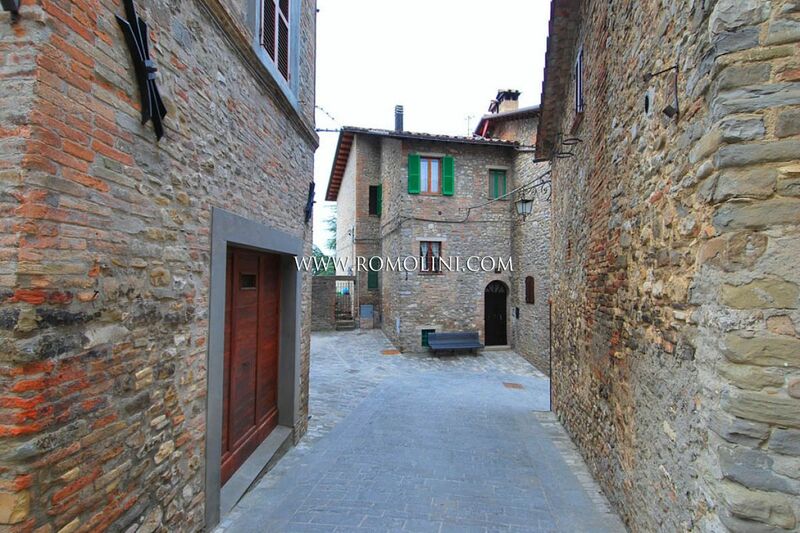 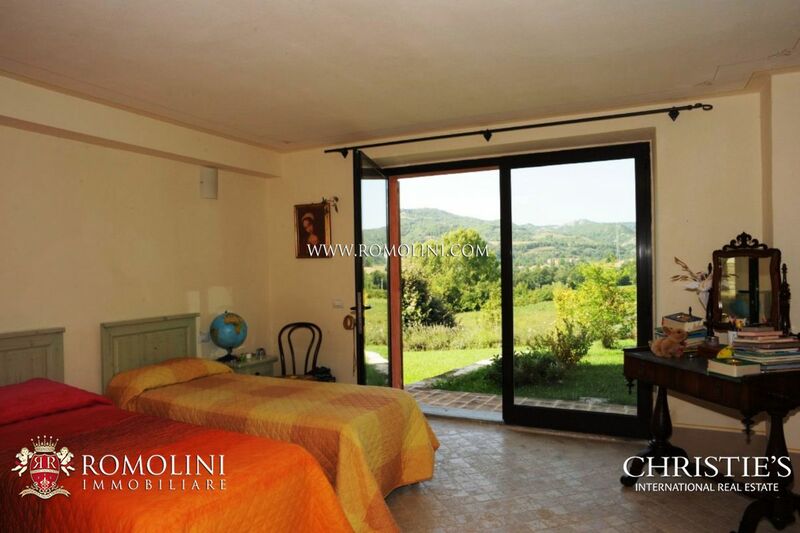 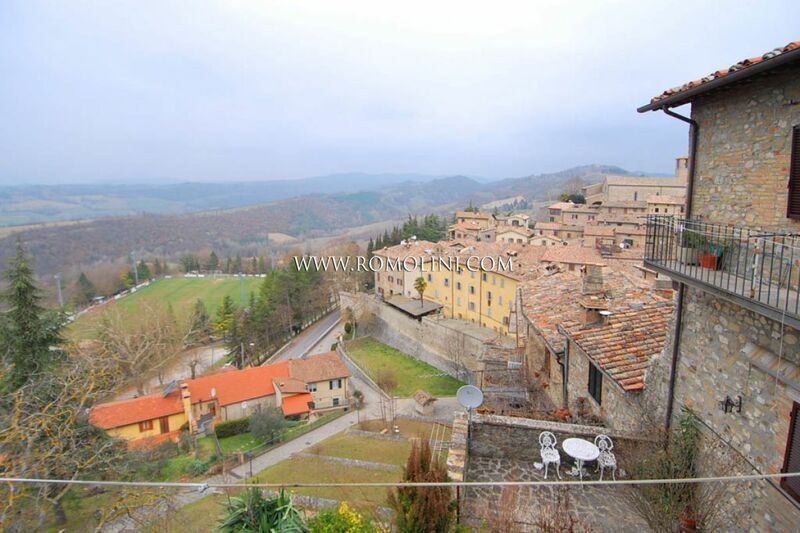 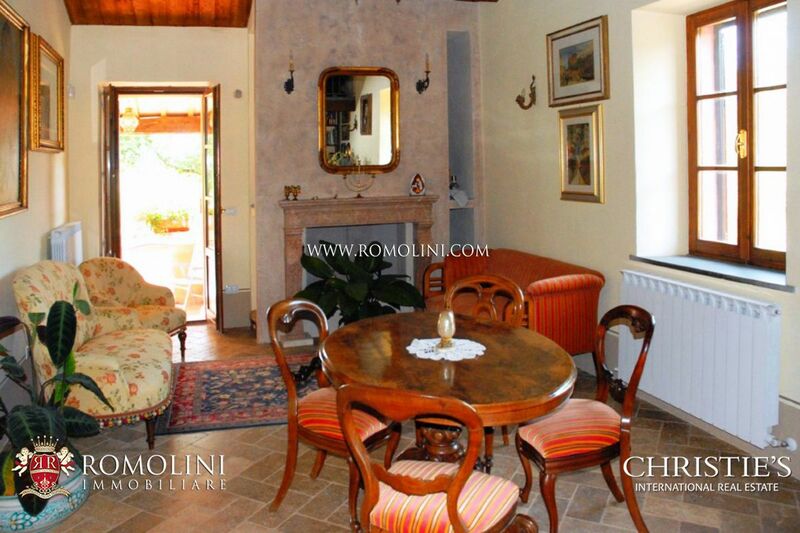 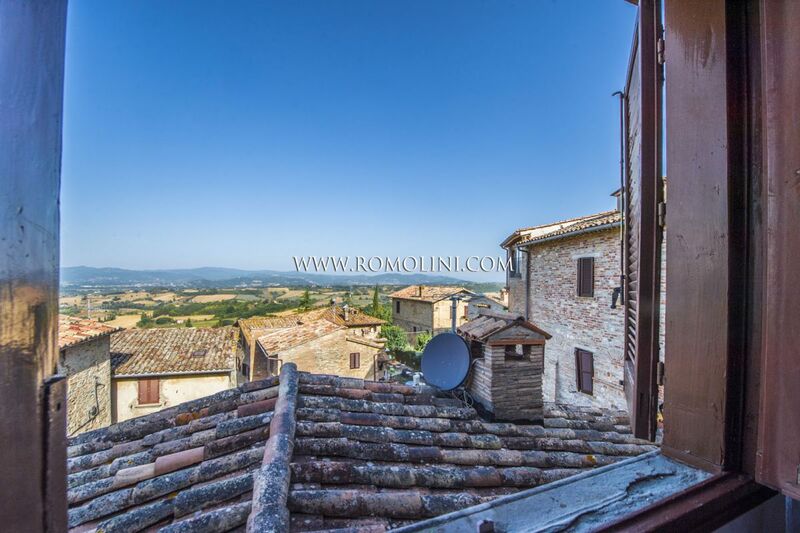 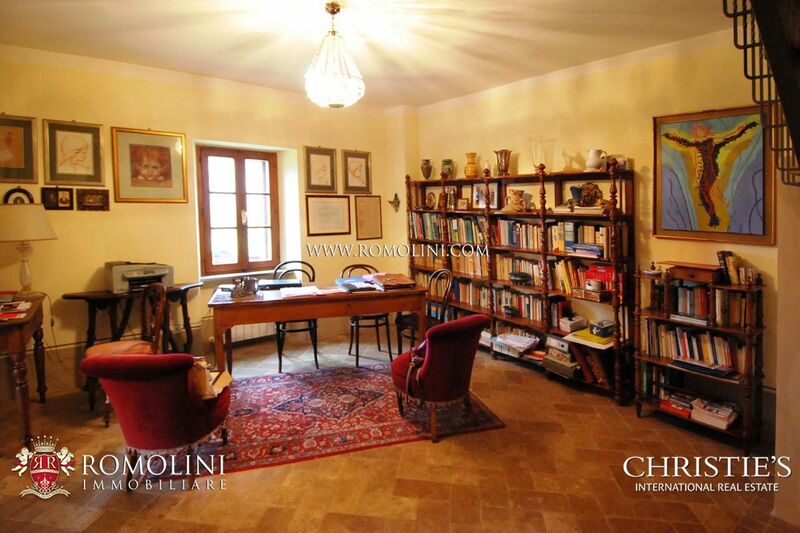 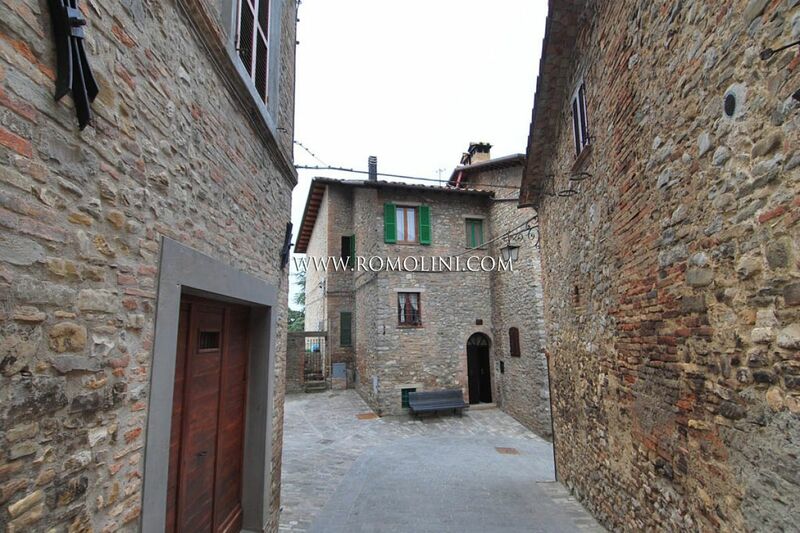 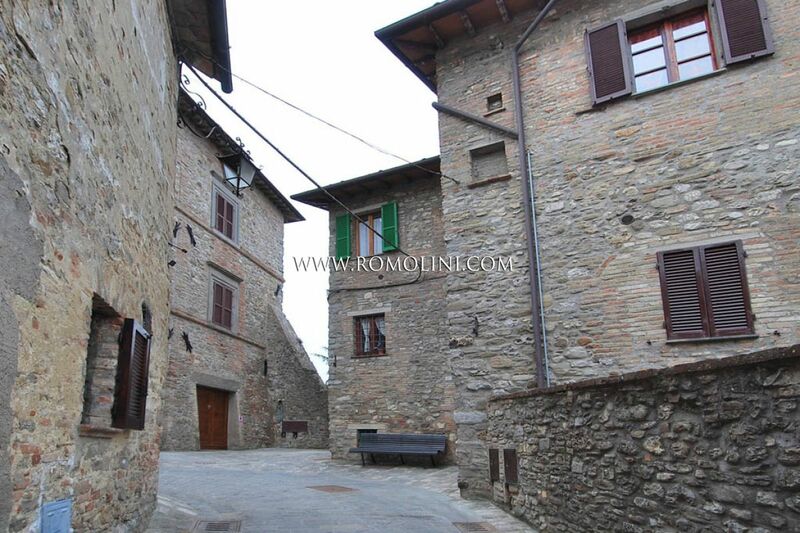 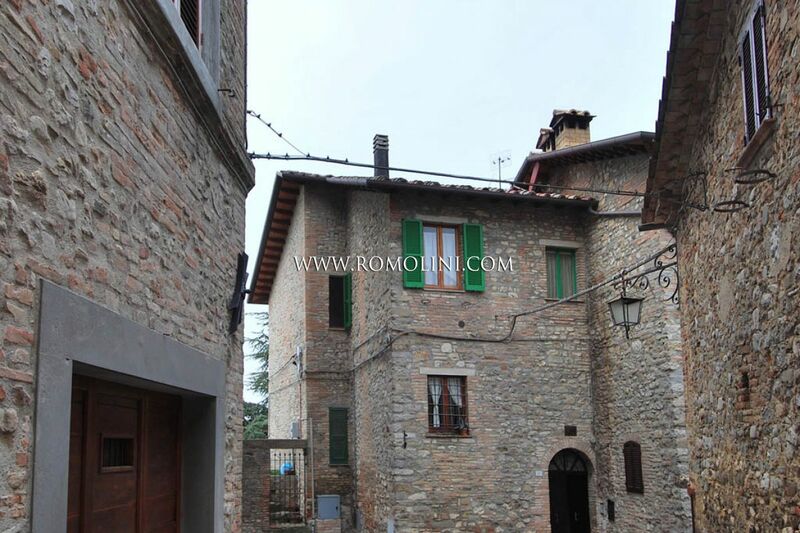 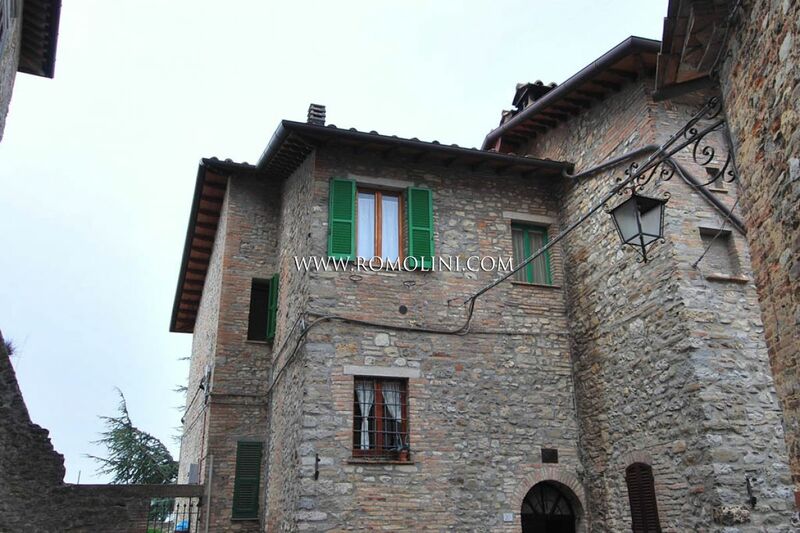 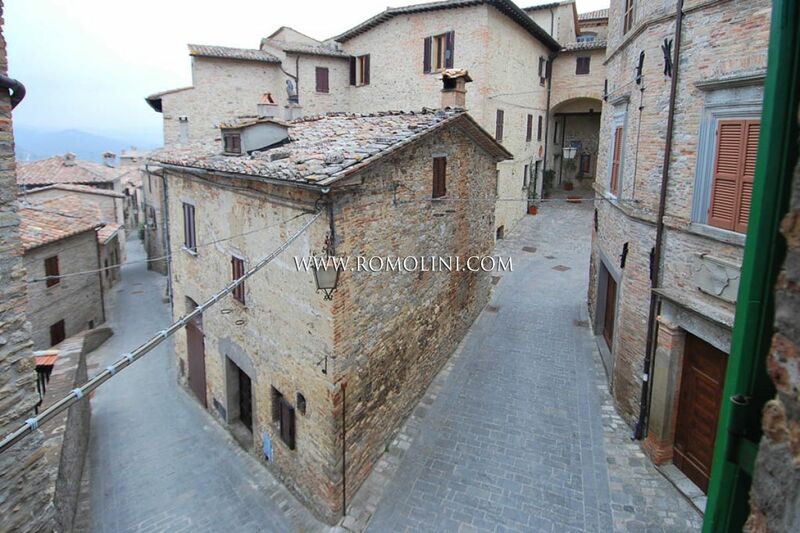 Montone Umbria Apartment with terrace for sale. 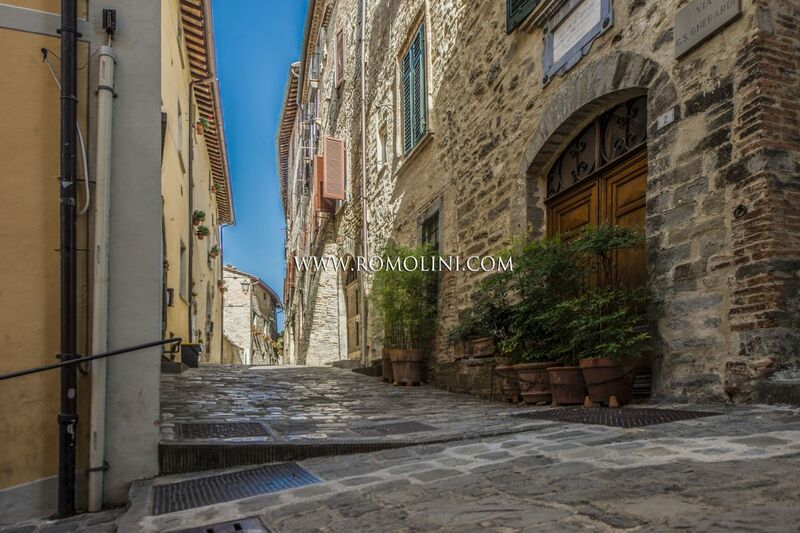 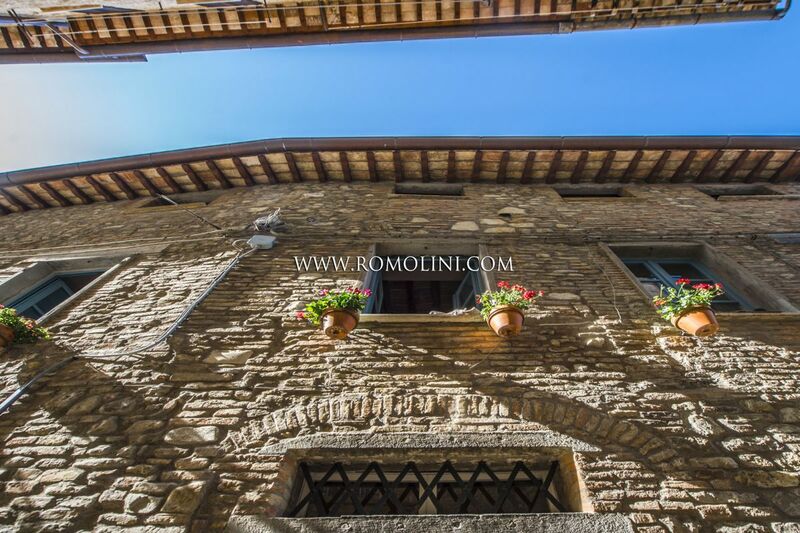 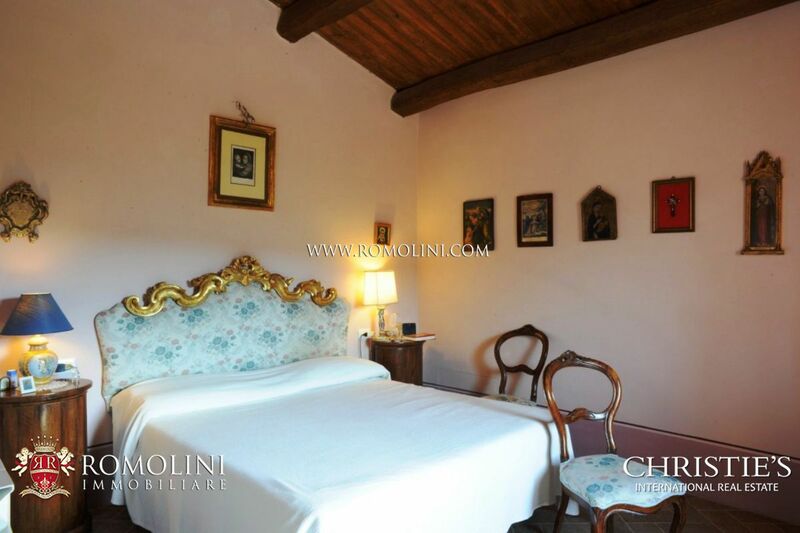 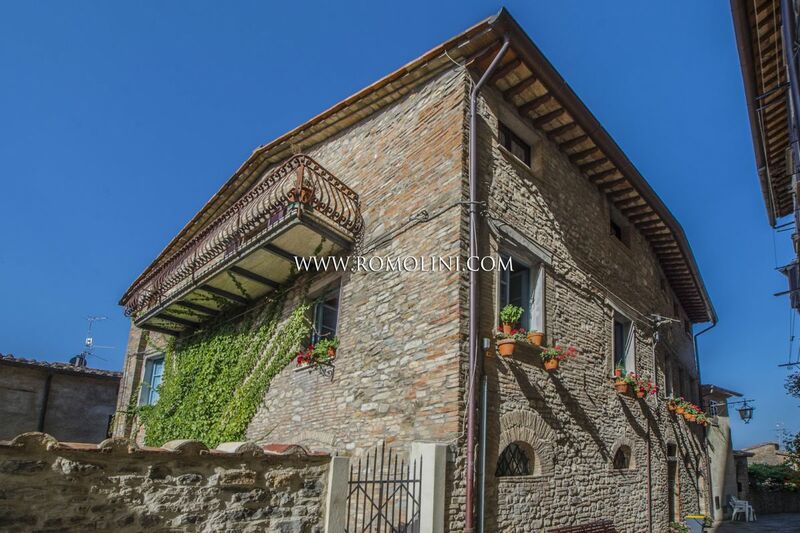 In the heart of the centre of Montone, within the historic walls of the city, apartment on the second floor of an old building.The apartment also includes an habitable attic and a cellar of 15 sqm, as well as a small courtyard. 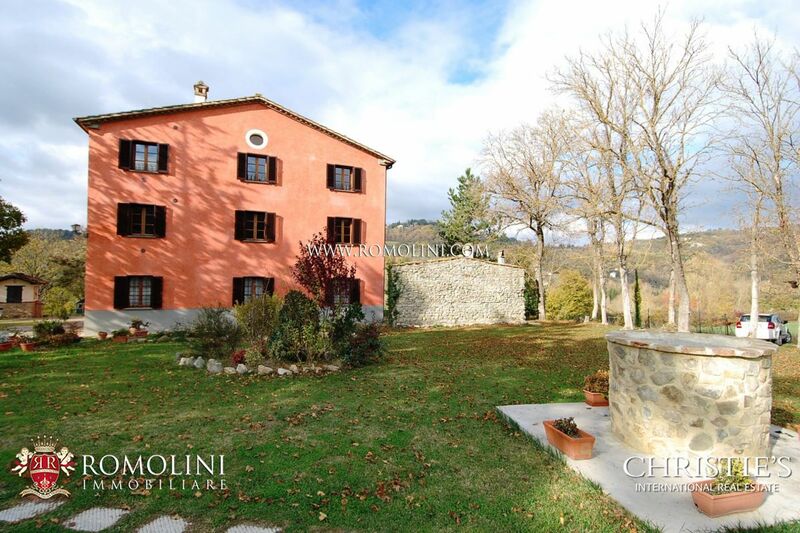 Nestled in the river Carpina valley, on top of a gentle hill, Casale Lorenzo is suitable both as a farmhouse as an elegant country house. 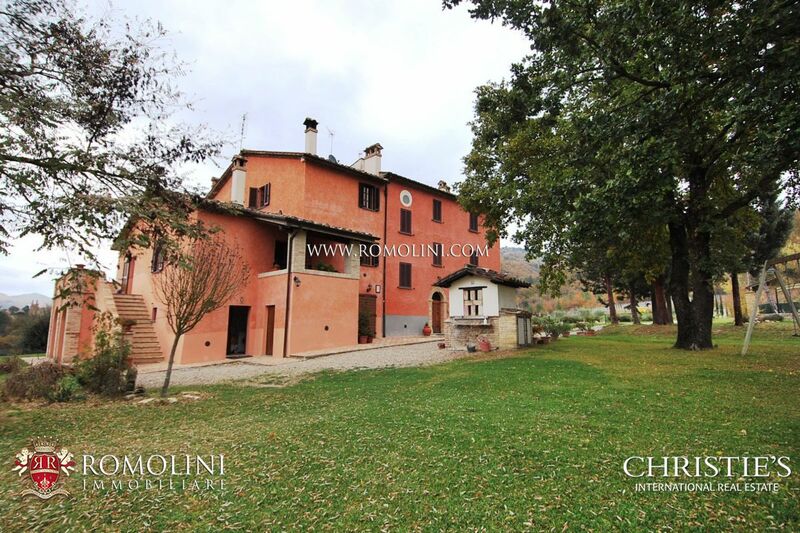 In the middle of an estate with over 7 hectares, large building of 331 sq.m. 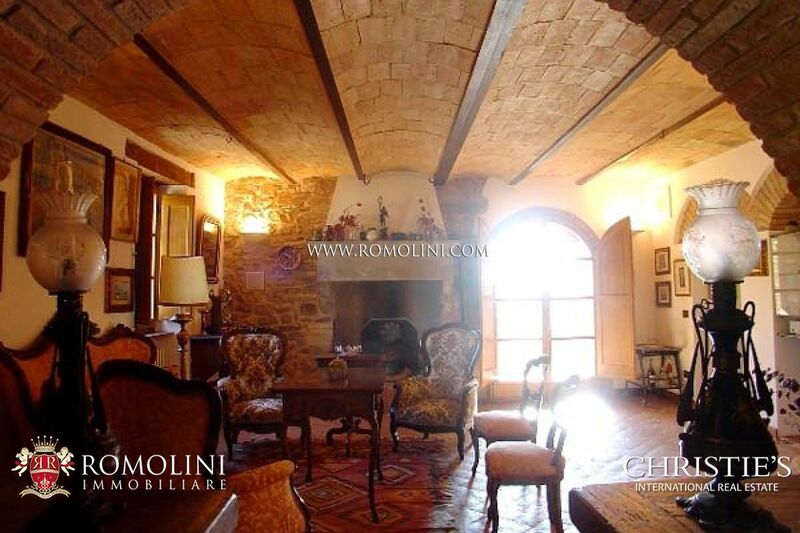 built in 1700, in need of renovation.